Research sheds new light on Viking travels in N.L. An American researcher has uncovered new information about the movement of the Vikings in Newfoundland and Labrador which suggests they may have moved further inland than previously thought, and may have travelled to other parts of Atlantic Canada. An American researcher has found new information about the movement of the Vikings in Newfoundland and Labrador which suggests they may have moved further inland than previously thought, and may have even travelled to other parts of Atlantic Canada. Kevin Smith, chief curator at Haffenreffer Museum of Anthropology at Brown University in Rhode Island, says the Norsemen may have had contact with the Aboriginal Peoples a thousand years ago. He presented his findings in April at the annual meeting of the Society for American Archaeology. According to Smith, recent geochemical tests of a red stone-like flint used by the Vikings found at the L'Anse aux Meadows site on Newfoundland's Northern Peninsula show the flint came from a distinct volcanic formation in Notre Dame Bay on the island's northeast coast. 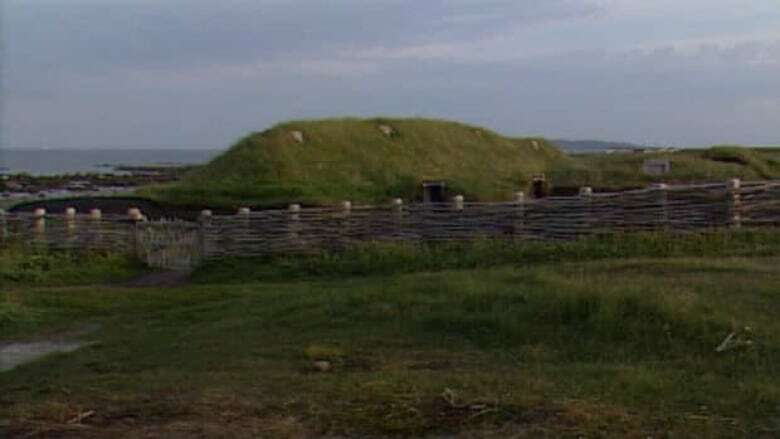 The discovery suggests the Vikings may have travelled hundreds of kilometres down the island's coast and into Beothuk territory. It's a theory consistent with Norse records that portray a confrontation between the Vikings and the Aboriginal Peoples in Vinland, which is what the Norse called Newfoundland. "According to their own stories that were told in Iceland into the 1200s and 1300s, written down in the sagas there, they were defeated, were turned back, by the fact that the populations — the existing populations — of the First Nations peoples were well organized enough, numerous enough, and proud enough defenders of their own land that the Norse decided that, as good a place as this would be to settle … that this wasn't the place to settle," Smith said. "If you think about it in terms of European history or world history, this is probably the place where Native American First Nations people won the first big encounter between them and the western world." There is evidence from the L'Anse aux Meadows site that the Vikings travelled further south than Newfoundland, possibly into what — on today's maps — are other Atlantic provinces and the United States. However, retired Parks Canada archaeologist Birgitta Wallace said tracking the movements of the Vikings is a challenging effort. "To look for something that was a summer camp 1,000 years ago, by just a handful of people, is pretty useless," Wallace said. "Unless there was a big catastrophe, I don't think a group of people like that leave many traces from themselves."